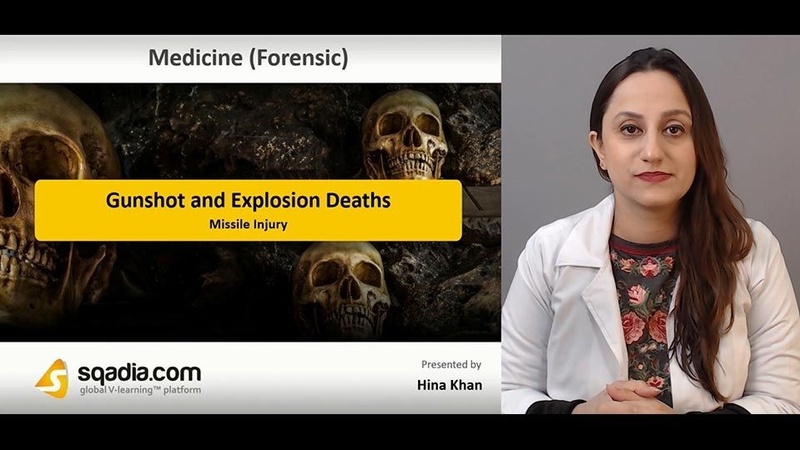 In missile injury, the kinetic energy of the missile has to be absorbed by the target tissues, where it is dissipated as heat, noise and mechanical disruption. The mode of injury depends on several factors such as the shape, velocity and fragmentation of the missile. Types of weapon used comprise the smooth-bore weapon, shotgun ammunition, or the rifled weapon. The construction and performance of weapons is concentrated to the pathologist in those aspects which affect the nature of the wound such as nature of projectile, nature of propellant, degree of choke. The shotgun contact wound will be single and circular, of a size approximately equal to the bore of the weapon. In a tight contact wound, the skin forms a seal around the muzzle, preventing much escape of hot gas and soot, so that external soiling and burning are minimal or absent. Carbon monoxide in the gases combines with haemoglobin and myoglobin to give a pink colouration to the interior of the wound track and adjacent tissues. The presence of carboxyhaemoglobin and myoglobin has been advocated as a test for distinguishing the exit from the entrance wound. Wounds from rifled weapons vary according to velocity. An automatic weapon may well cause multiple wounds in close succession which impact upon the same area of the body. Blood and tissue fragments enter the muzzle, sometimes penetrating for several centimetres, this being called back spatter. Abrasion collar may be only a narrow rim or may be equal in width to the central defect. The abrasion collar or its inner parts may be blackened due to overlying sooty remnants wiped-off by the bullet when hitting uncovered skin. This finding is called grease ring. The appearance of a shotgun exit wound is totally random, depending on the anatomical part injured and the addition of any bone or tissue fragments blown out in the discharge. In exit wounds from rifled weapons, there will be soiling to indicate the entry and identification will depend upon the close examination of the margins of the wounds. 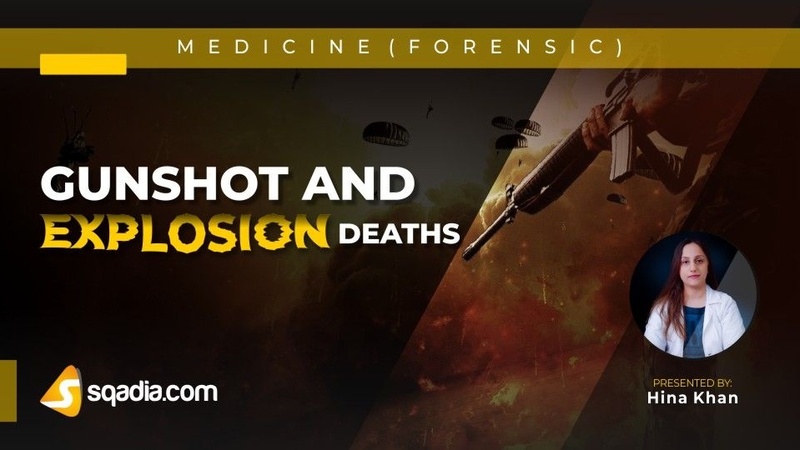 Firearm damage to internal organs produce contusion and laceration from low-velocity impact and high-velocity missiles produce disproportionate damage. 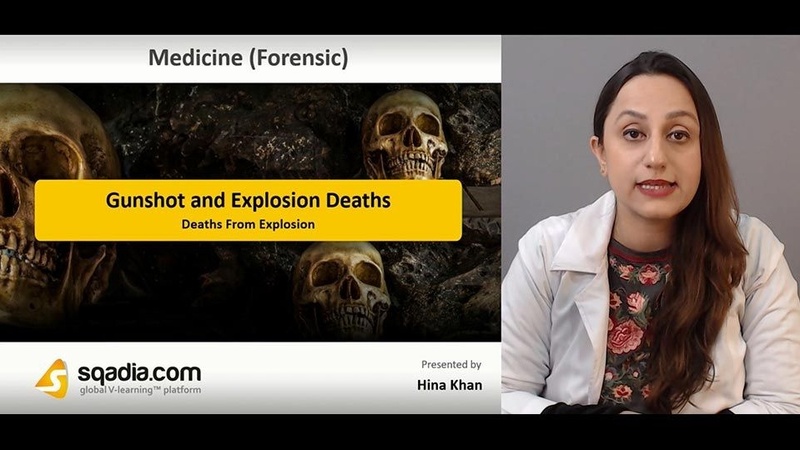 Deaths from explosion occur as the detonation of chemical stores, ships or factories. Several different factors cause death and injury following an explosion such as blast effects, burns from hot gas and incandescent objects, and impact of projectiles. Autopsy signs indicate alveolar walls shredded, large areas of haemorrhage, nasopharyngeal injurie, and gastrointestinal damage. X-rays, or multislice CT whenever available, should be taken of the bodies before autopsy to identify any radio-opaque objects.